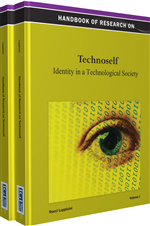 There is currently a need for a standardized concept that describes how relationships between the self and virtual self-representations operate across virtual contexts. The framework of self-presence fulfills this need by describing how people connect to their virtual self-representations on three distinct levels of self (body, emotion, identity). The present chapter draws from the fields of presence and neuroscience to explicate this conceptual framework and describe its operationalization, the Self-Presence Questionnaire. This explication and questionnaire were developed throughout a line of research that examined self-presence within numerous virtual contexts. The results from these studies suggest that the concept of self-presence is reliable and valid, and that future research could utilize the concept to develop a greater understanding of avatar use. This chapter concludes by suggesting such research applications of self-presence and then discussing the larger implications of this line of research. The concept of self-presence is closely related in origin and meaning to the concept of presence. Thus, the present explication of self-presence begins in the field of presence. Because this field extends into many disciplines and discussions, only those works that provide direct foundations for the current formulation of self-presence are examined here. Self-Presence: The extent to which some aspect of a person’s proto (body-schema) self, core (emotion-driven) self, and/or extended (identity-relevant) self is relevant during media use. Avatar: A digital self-representation that reflects the user’s appearance and/or behavior to some extent. Core Self-Presence: The extent to which mediated interactions between a self-representation and mediated objects cause emotional responses. Presence: A perceptual phenomenon that occurs when mediated experiences are treated as nonmediated experiences in some way.